The JKB series are advanced twin stage vacuum extruder which draw lessons from the developed domestic, abroad experiences and design to make. They are mainly made of high quality steel features of reasonable structure, high pressure extrusion, high vacuum degree, sturdy and durability. And they have strong applicability, high efficiency easy maintenance but lower energy consumption. 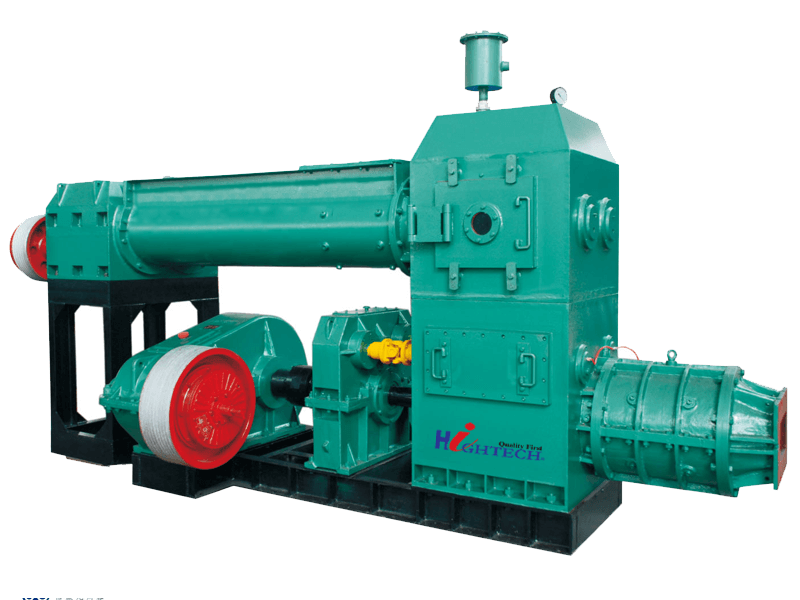 The machine’s axels, gear, and other spare parts extend the service life which are made by high quality of carbon steel and alloy steel through modulation quench’s heat treatment procession. The dialing mud plate transfer and material level control are fixed with protective device which improves the plant efficiency of break down maintenance. And it also makes sure that it can’t easily damage the main spare parts during usage.